The general mode of production for maps these days requires a mastery of the computer. Whether you use proprietary software through a Graphical User Interface, or code your map from scratch the basic toolset is one of mastery of a computer. Of course, technology in cartography has always changed and the experts of the tools of the time always rise to become the cartographers of the time. This was the same when it was copperplate engravers, drawing pens, scribing tools as it is today with computer scientists. 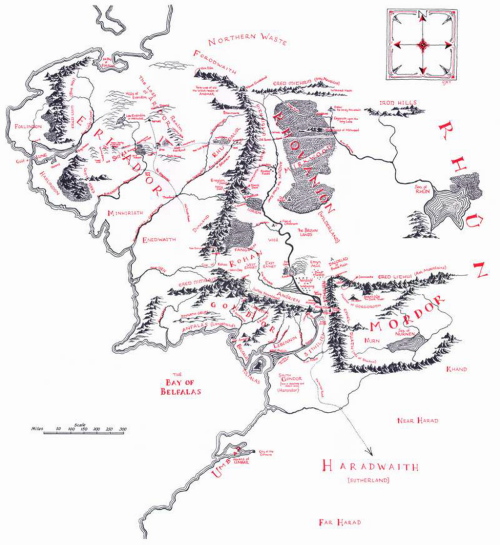 When we see maps constructed differently they often stand out. It’s also the case that if they are made by someone with a mastery of their specific tools they stand out all the more. And so it is with Mike Reagan’ map of the Florida Wildlife Corridor, painted in watercolour. 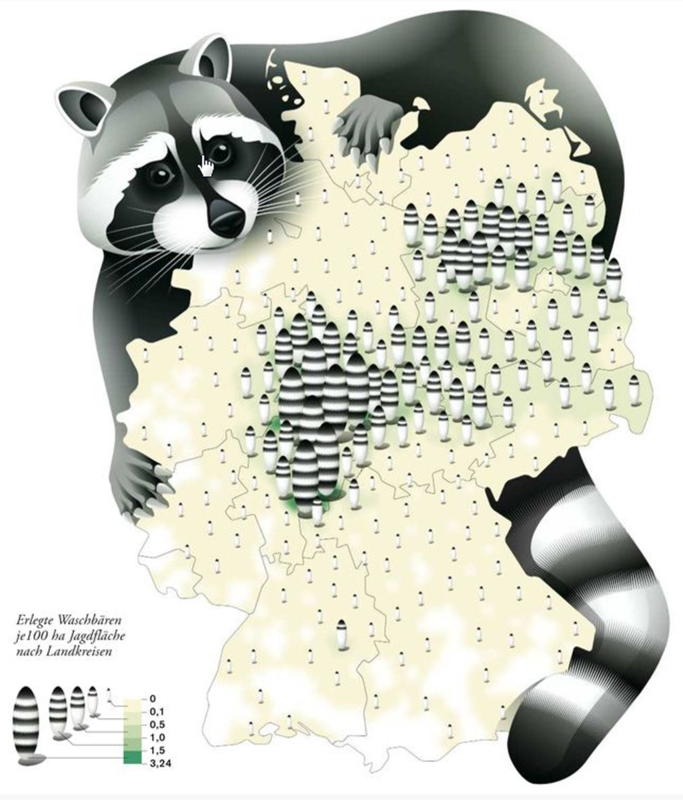 There’s a certain human element that one might argue is missing from many maps where our own skills are mediated by algorithms and a computer’s precision but when painted, the artist’s skill becomes visible to all. The landscape is painted in shades of beige and greens and reflects land use types with a consistency of colour hard to achieve by hand. 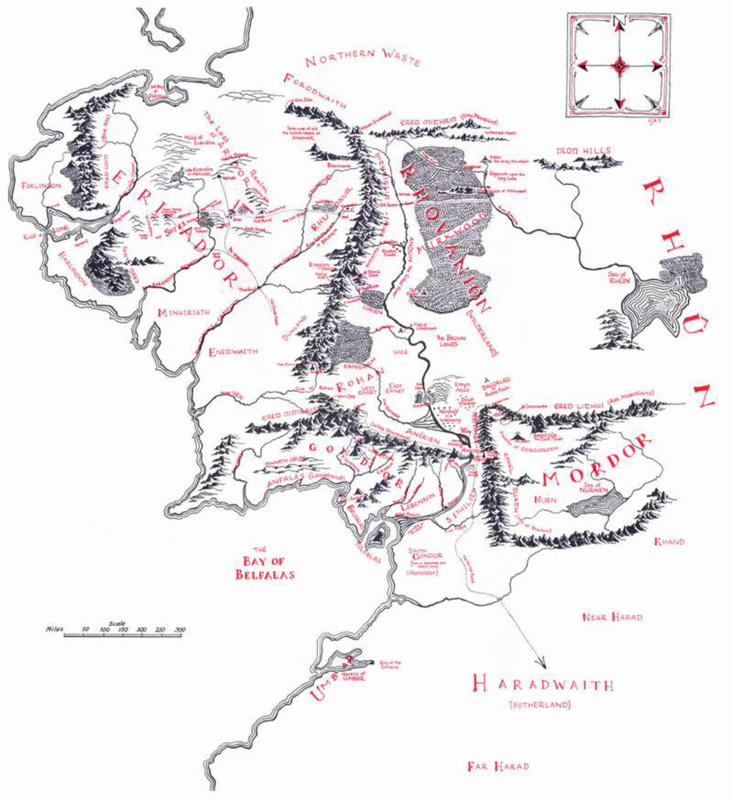 The map is also hand-lettered but again, consistency is upheld which gives the map a sense of uniformity and structure. These aren’t random marks; they’re carefully crafted; each one resulting from a decision. Paintings evoke emotions because we see them as art. 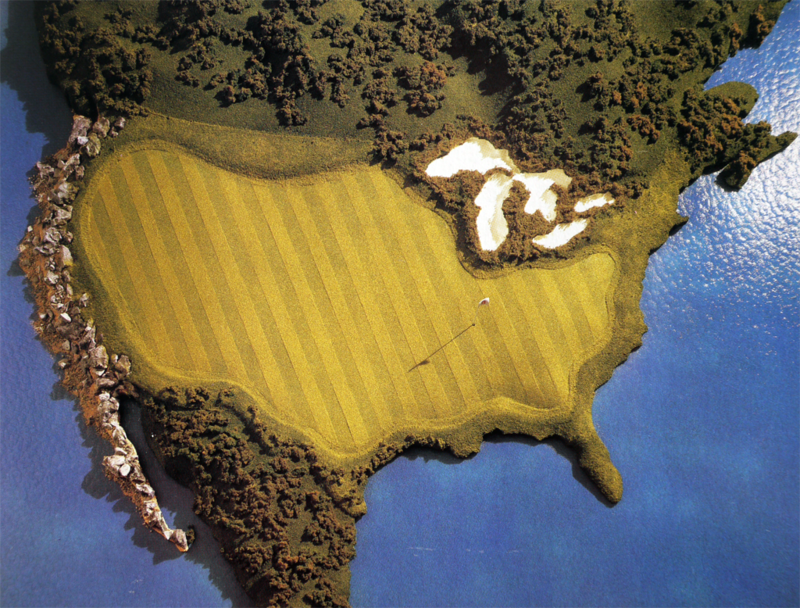 Painted maps can do the same. The production of maps in weekly publications and academic journals has been a mainstay in a number of publications but none has perhaps been as beautifully designed than those in the weekly magazine of German newspaper Die Zeit. The series of thematic maps has featured in a continuous single-spread feature in the weekly mazazine and now numbers well over 200 separate maps. 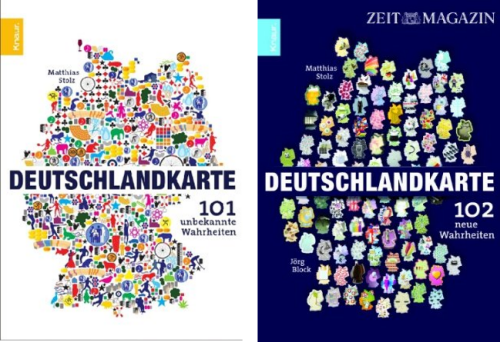 It would be invidious to select one that rises above the others so here, we reflect on the maps by including the two book compilations by Matthias Stolz that provides a compendium of 101 of the maps, a couple of examples and a link to the Pinterest board. 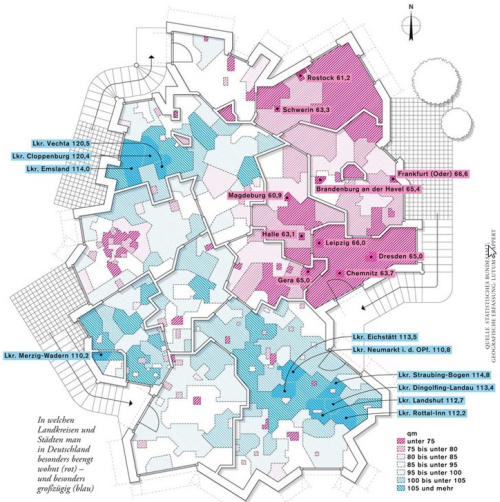 Various cartographers, artists, map-makers and designers have produced the maps over many years and they cover all manner of everyday topics exploring the distribution of facilities throughout Germany to popular hairdresser’s names and divorce rates. 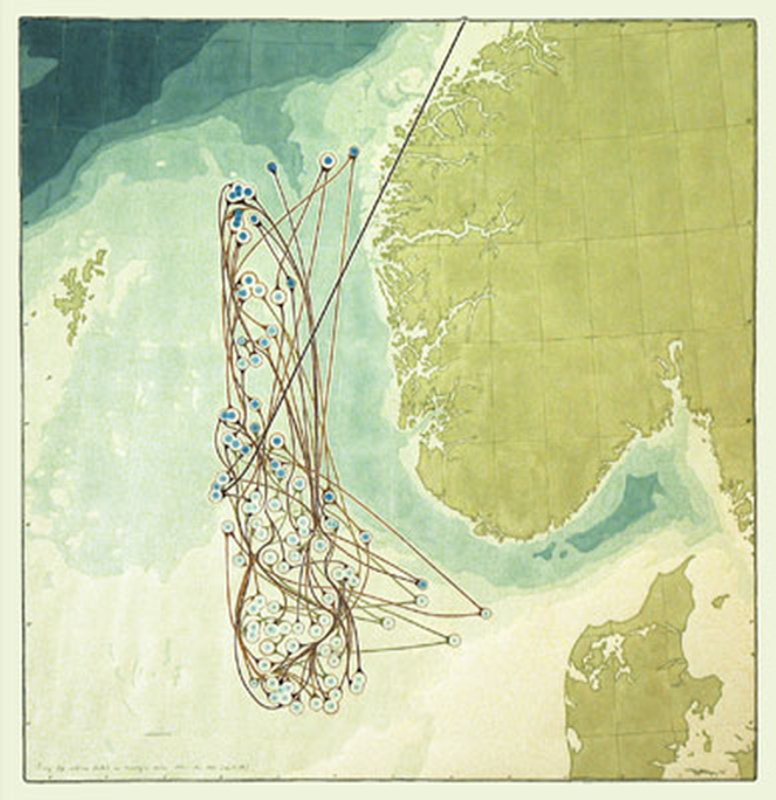 Each map is unique and often highly stylized or artistically driven. 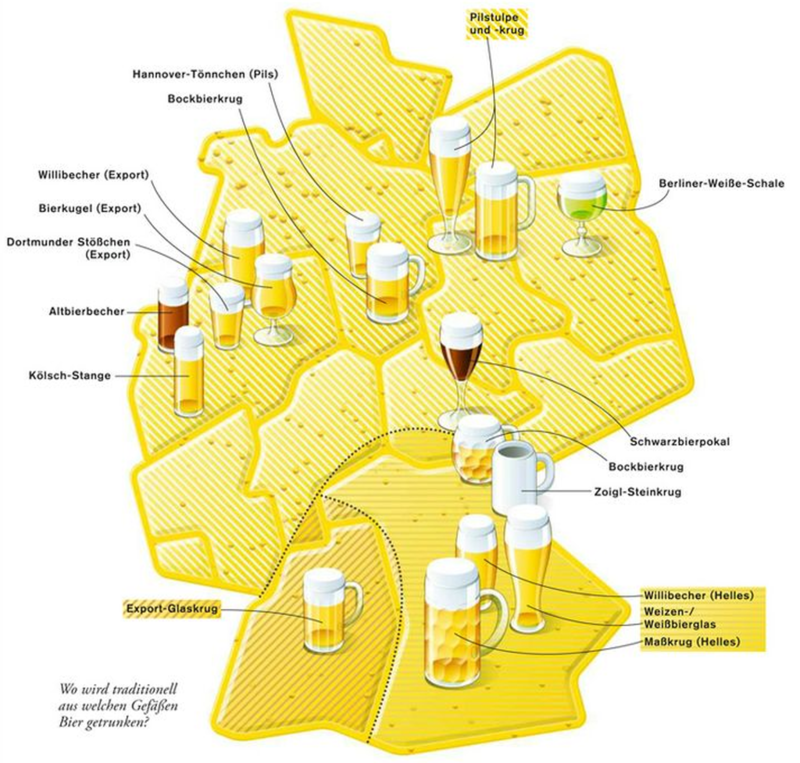 They offer not only a wonderful look at the serious and not-so-serious aspects of daily life in Germany but any aspiring thematic cartographer should explore these maps and cannot fail to be inspired. 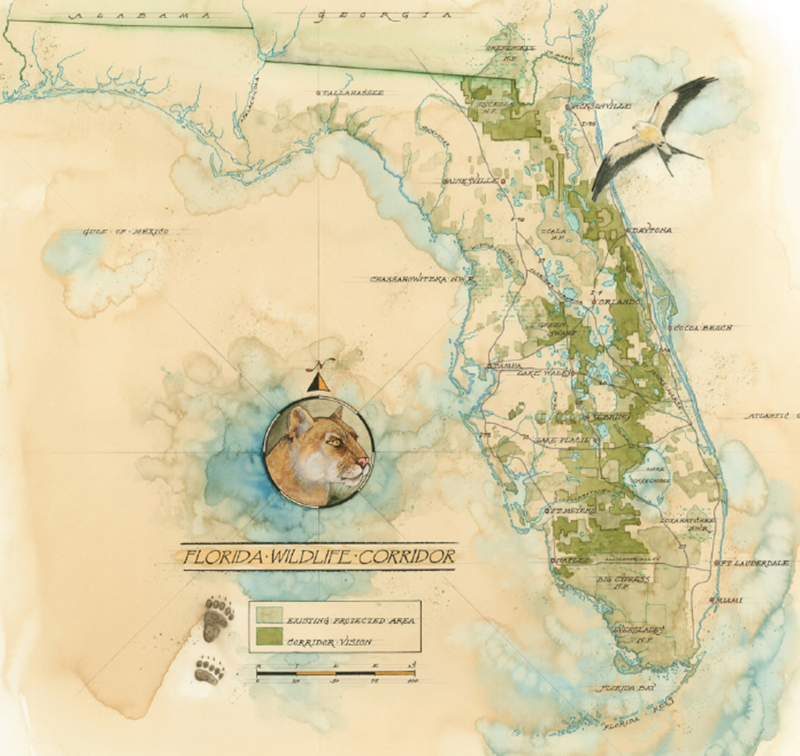 There’s rarely a map that one wouldn’t find catches their attention. That’s the point…they are designed to reel you in and take an interest in whatever it is that is being mapped. They make use of strong visuals and adorn the map with copious illustrations. 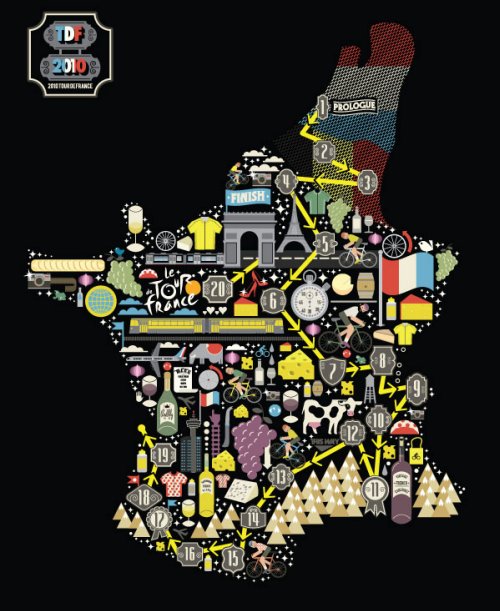 They take graphic licence to another level in playing with cartographic symbology. Often, rules are broken but to good effect. There’s plenty more of the maps to see on the Die Zeit Pinterest board here. Most maps are designed to show something that people want to know. Some are designed to show people what they might prefer not to know. This isn’t necessarily negative cartography but it’s often an uneasy way of looking at the world. After some 50 years of successful oil exploration and drilling in the North Sea which has supported the Norwegian economy, Torgeir Husevaag paints a picture of all the futile test-drillings, literally. His hand-drawn approach lends a certain human exposure to the highly scientific approach of the drillings themselves. It’s an almost paradoxical way of representing the subject matter which would more usually be seen through engineer’s plans and charts using sterile, heavily specified symbols and linework. The 150 or so dry bores are numbered and linked to show them in sequence. There’s no particular need for this and the lines don’t actually exist but by showing them in this manner he creates a richer story. It explains the perhaps haphazard, unscientific search akin to looking for a needle in a haystack. 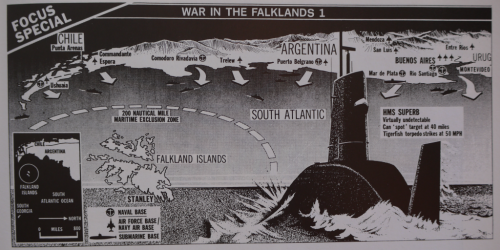 This is an alternative history told through a sequence of maps. The illustrations are well produced and the unconventional symbology a rich metaphor for the futility of the endless search for black gold. More at Husevaag’s web site here. 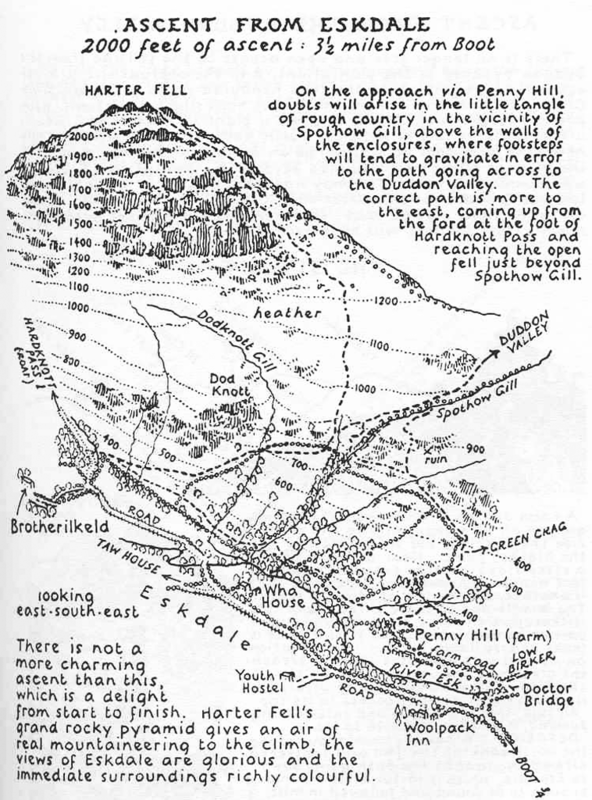 This MapCarte entry is more concerned with the illustrations and maps that Alfred Wainwright produced for his 59 walking guides and publications than specifically the Pictorial Guide to the Lakeland Fells series though they are perhaps the most widely known. The Pictorial Guide consisted of seven volumes compiled entirely of his own hand-written manuscripts, his hand-drawn maps and beautiful original illustrations drawn entirely in pen and ink. The Pictorial Guide has been in continuous publication since their first edition and remain as popular as ever. Their unique style and design that marries art, cartography and the written word brings a sense of romance to the long distance footpaths Wainwright wrote about and illustrated in such detail and with immense passion. 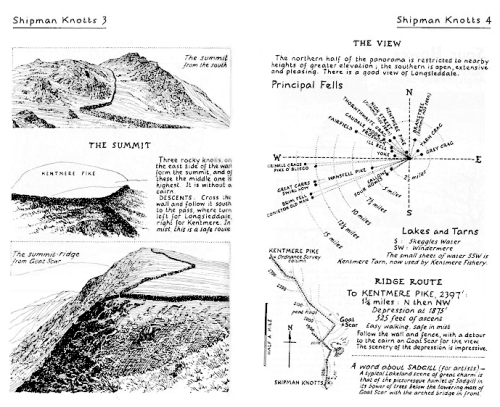 Wainwright’s maps are charming and bring to life not only the beauty of the landscapes he loved but also some of the desolation and isolation of the fells. 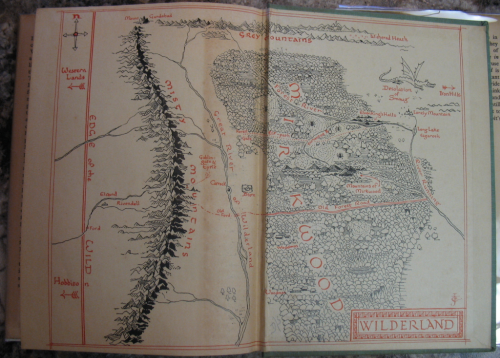 The simple black ink drawings and maps lay bare the landscape yet contained a depth of detail and information that could only be re-told by someone who had walked every single mile and seen with his own eyes. The ascent maps are planimetric in the foreground and morph to become perspective in the distance showing natural features and the climb ahead along the route. Contours not only provide useful information but add to the representation of the 3rd dimension. The hand-drawn approach lends itself to giving a sense that the maps are somehow more real and match their in situ use perfectly (as tools to support wayfinding). The maps are not just landscape sketches though. Planimetric detail is marked and pictorial symbols (e.g. trees) are also used to good effect. 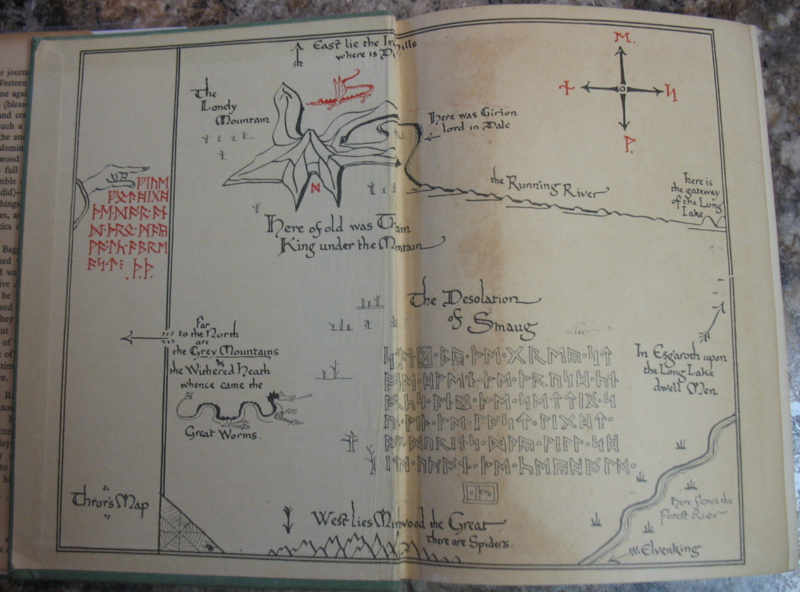 As a small format book the publications and the maps they contain are perfectly suited to their purpose. 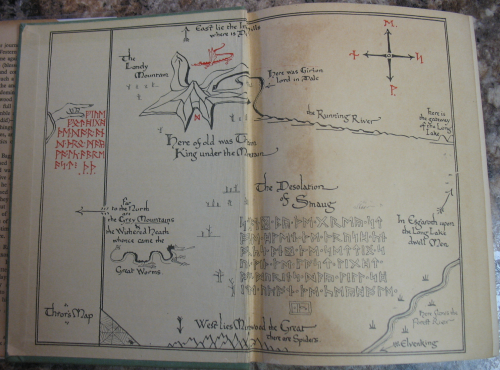 Many of the pages in the guides contain diagrams illustrating the directions of the fells on a compass rose. Drawings of key features as hikers would see them give a clear idea of location, scale and orientation. Small inset maps are littered throughout to bring clarity to specific parts of a route. The Pictorial guides took 13 years to complete and are beautifully designed and constructed guidebooks that encompass the 214 peaks in the Lake District. The work is borne of a personal obsession but which clearly has the enjoyment of others as the driving motive. As such, the maps support navigation by all and are so much more than simply Wainwright’s own perspective. The cartography is exquisite but it is the bringing together of all the constituent parts of his guide book manuscripts that makes Alfred Wainwright’s work so enduring. The vast emptiness of Antarctica has long described as one of the last places on earth to be mapped. 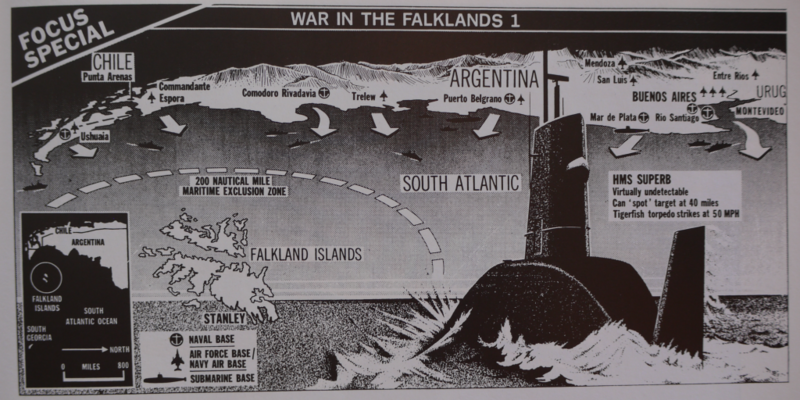 The maps produced around the time of the expeditions of Shackleton, Scott and Amundsen illustrated the stories, trials and tribulations of their famous treks to reach the South Pole. 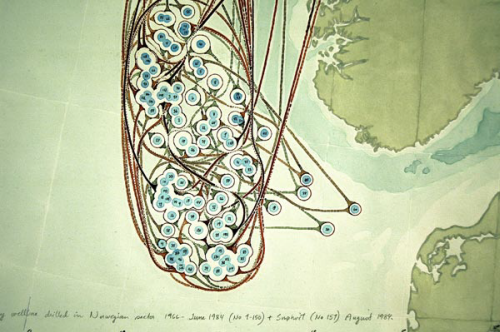 Most of the maps were not drawn by cartographers, but pieced together from journal entries by others. Here, Amundsen’s expedition is mapped by English landscape artist, writer and illustrator Gordon Home based on telegraph reports and which appeared in Amundsen’s own book of the expedition published after his return. Home’s pen and ink drawing uses a grossly distorted perspective with a detailed foreground giving way to the mountain ranges, plateaus and empty open ice fields that were negotiated. Scale is inconsistent throughout but that’s an inevitable and immaterial consequence of this style of mapping. Curiously, the south pole is at the top but placed in the more normal orientation the map wouldn’t have looked right since the horizon would have been at the bottom. Home simply rotated the map to fit the need to create a linear route that plotted the journey from start to finish, bottom to top. Using the map as a device to tell a simple linear story is well executed by Home. 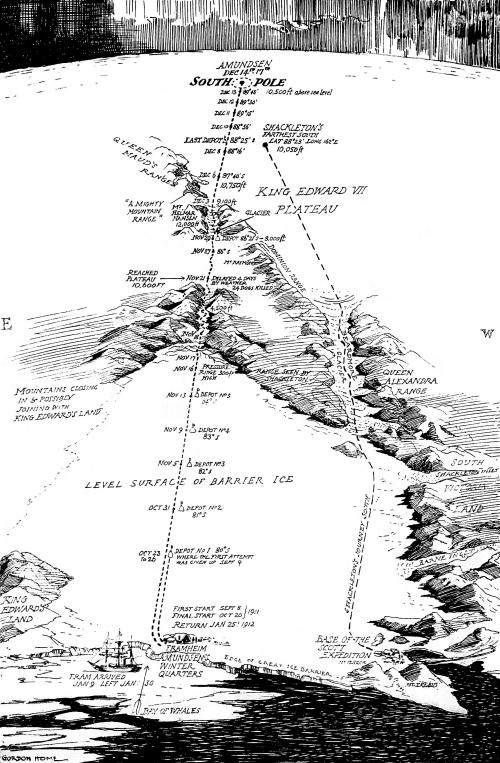 There’s actually very little by way of description and detail but that in itself gives the map a quality that allows the reader to imagine the severity of the challenge faced by the expedition teams. The foreboding blackened sky adds to the drama and sense of bleakness.